Footage of 13-year-old Kate Middleton starring in a school play has resurfaced online. The play’s story bears a startling resemblance to the Duchess of Cambridge’s real life years down the line. It captures the moment a fortune teller tells her she will marry a rich and handsome gentleman who will take her to London. In the play she goes on to meet a tall blonde boy called William, who proposes to her. 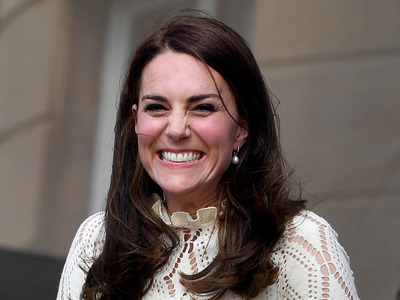 A video of a 13-year-old Kate Middleton playing a girl called “Maria” in a 1995 school play has made its way onto YouTube – and not only is it highly amusing, but its prediction of her future is startling accurate. In the play, the Duchess’ character Maria, dressed in a long white gown wearing flowers in her hair, meets a fortune teller who reads her palm. He tells her that she will meet “a handsome man, a rich gentleman” who will marry her and take her to London. “And marry you.” he confirms. The footage later cuts to a scene where a tall, blonde, and presumably rich boy called William – seriously – comes on stage. The video was uploaded online some years ago, according to the Evening Standard, but has resurfaced this week. It was taken at St. Andrews prep school in Buckhold, Pangbourne. While Middleton’s performance is a little over-the-top, her timing’s not bad, and she appears to have the audience on board, who laugh in all the right places.